I've been lucky enough to attend the Fancy Food Show to check out the latest happenings in the food world for a few years now (2015, 2014, 2013, 2012, 2011). Each year I think, this is the year it's going to feel normal and just sort of blah. But nope, it continues to be more and more awesome each year. The industry just keeps coming out with items that are even more innovative and the show continues to present them in a fun and fantastic way. Did I have a total fan moment when I saw the Jeni of Jeni's Splended Ice Cream? Why yes, yes I did. I sidled up to her super shyly and told her ice cream was the best I'd ever had and I was just so excited to see her business grow and succeed. 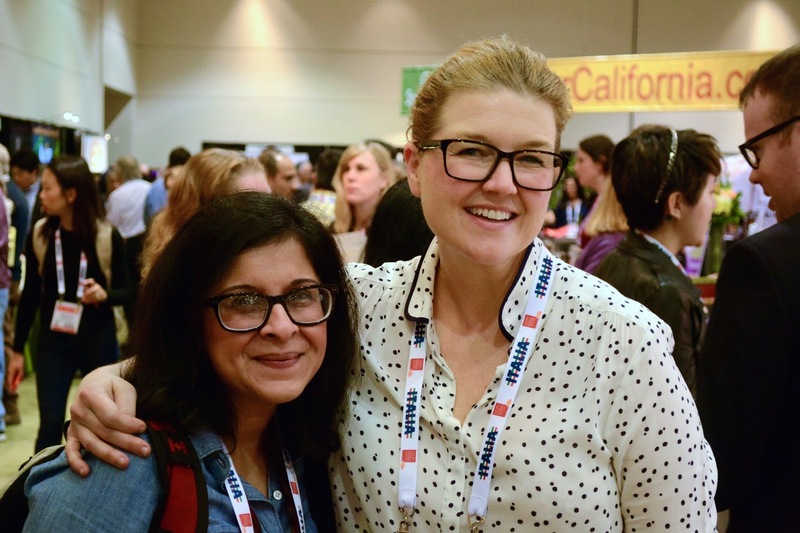 She was, of course, lovely in person and chatted about how she started making ice cream batch by batch and it just grew from there. And of course, while she chatted, I snuck spoon after spoon of flavors such as Roasted Strawberry and Lemon Buttermilk. If you have not had Jeni's ice cream, do yourself a favor and order some online because it's amazing. Even the "normal" flavors like plain ol' chocolate are just magical. My love of Flamin' Hot Cheetos is fairly well-documented so it takes something pretty special to make me rethink my commitment. This here is it. If you're a fan of spicy cheese puffs without all the artificial gunk, get some Serious Cheesy Puffs. 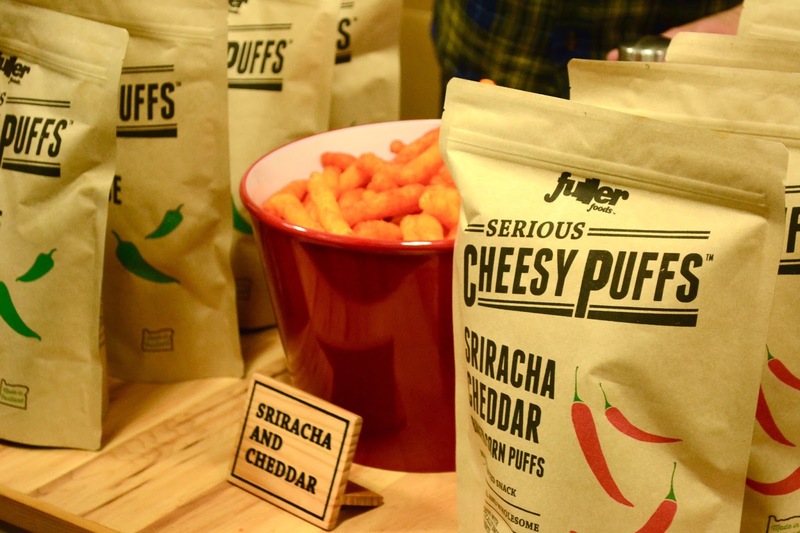 They come in three flavors: Sriracha Cheddar, Asiago Black Pepper, and Blue Cheese Jalapeno. They're made with real corn and real cheese and do not contain any preservatives. 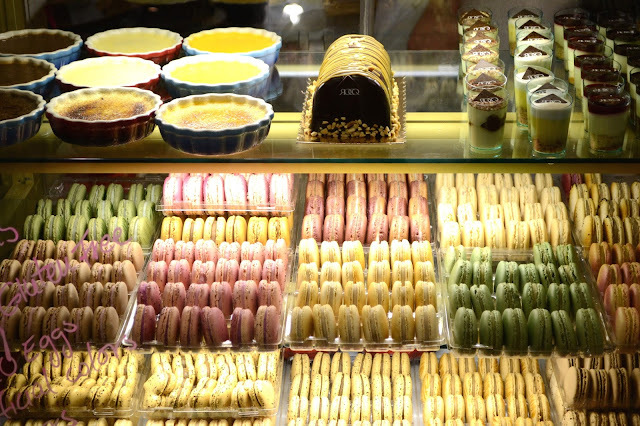 These aren't a "healthy" stand-in for your favorite bad-for-you snack. Oh no, these are even better and the fact that they do not contain any junk simply means you can eat more of them. 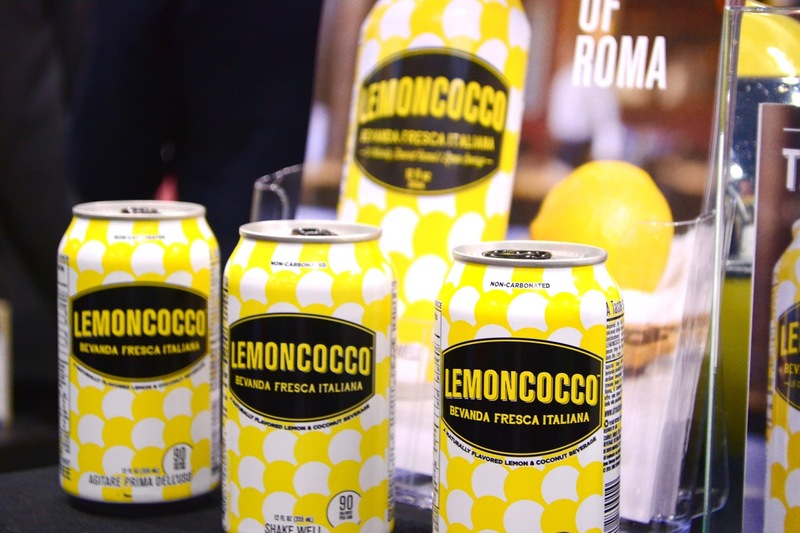 I am always a bit hesitant to commit to drinks at the Fancy Food Show because they're just not as exciting as well, food. Lemoncocco proved me wrong. The can states that it's a coconut and lemon flavored beverage but that really doesn't do it justice. No, this here is a vacation in a can. If you're a fan of pina coladas, this is basically that but better. And if you don't have a beach vacation lined up in the near future, drinking one of these is a pretty fantastic way to vacation at your desk. We can never ever doubt my commitment to food because I ate various chips made out of bugs all in the name of food research. 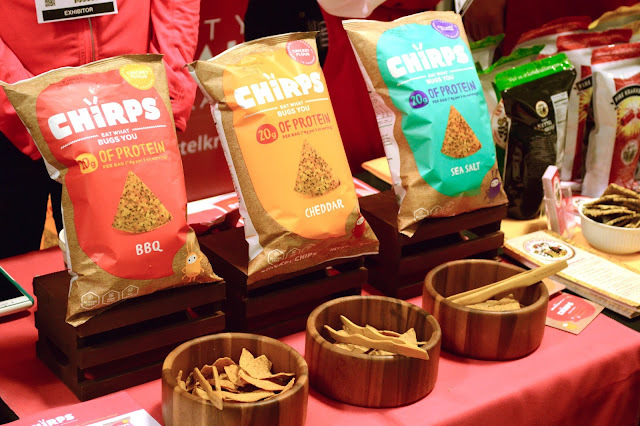 Chirps are chips made with cricket flour which is apparently super high in protein. When made in to chips and dusted with a healthy dose of cheddar or BBQ seasoning, it tastes a lot like a regular corn chip. This product definitely won points for uniqueness and creativity. A lassi is a popular South Asian yogurt drink that can be served plain or with added flavors such as mango. 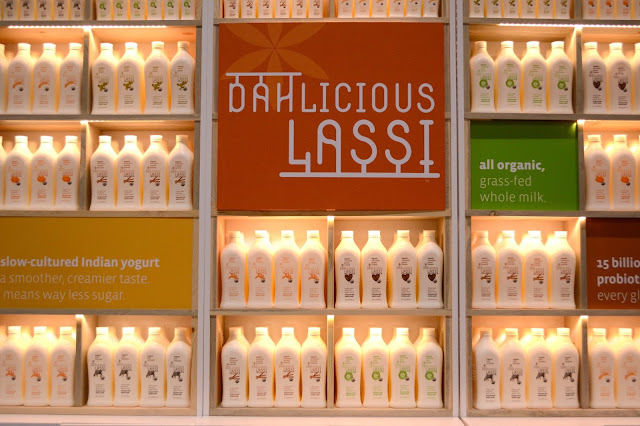 My people have been drinking lassi for centuries so the concept was not new to me. That said, the convenience definitely was! I just don't have the time to be blending up yogurt drinks, especially not ones with fancy tropical fruit so seeing a mango lassi in a convenient bottle was certainly a welcome surprise. I admit I was a bit concerned that it would taste artificial or packaged and was pleasantly surprised at how fresh it tasted. Oh and the range of flavors is truly mind boggling from Chocolate Garam Masala to Golden Turmeric.